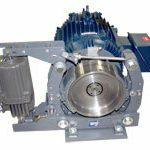 Motor mounted brakes might be the right solution if you are looking to eliminate brake mounting labor and save time. With the brake mounted, all there is left to do is to bolt the motor in place and couple its shaft to the gearbox. 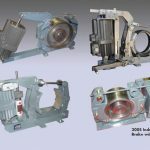 Whether you need a motor mounted brake package, replacement parts or service, Duke Brakes can help you find the right solution for your needs. Please view our product listing below or contact us for more information.